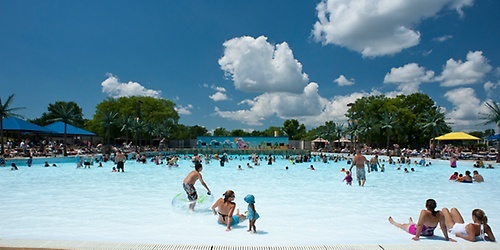 Visit one of the largest water parks in Illinois located off I-90 near Rockford. 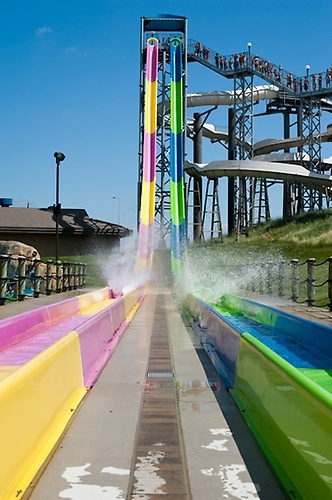 Experience the 75 ft Double Dare Drop Speed Slides, Tsunami Bay Wave Pool, Typhoon Terror Adventure Ride, The Abyss, Tropical Twisters, Paradise Pipelines Splash Magic River, Little Lagoon and Tiki Island-a water paradise for kids! Tuesday's are $12 Buck Bargain Days. 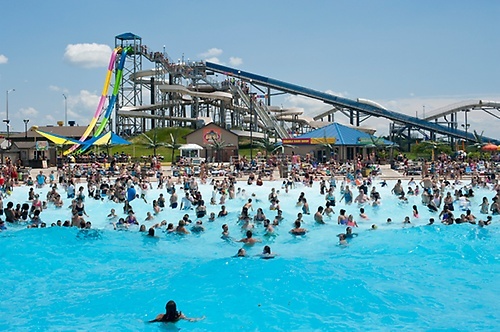 • Find Your Fun at Magic Waters Waterpark! • Every Tuesday is a $12 Buck Bargain Day with just $12 admission! 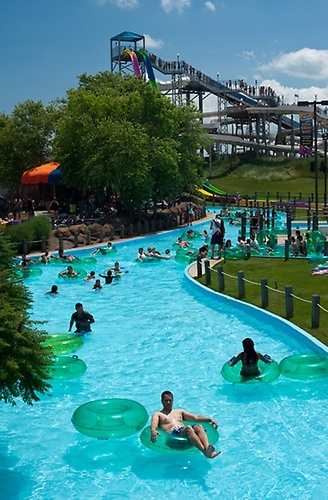 • ''Wet Wednesday'' - Open Wednesday's July 6-August 10 until 8 p.m.! • Coolers are welcome and parking is always free! • Luxury Cabanas available for the utmost in relaxation! promotions and like us on facebook! Open Mon-Sun 10 a.m. to 6 p.m.
Open Wed 10 a.m. to 8 p.m.